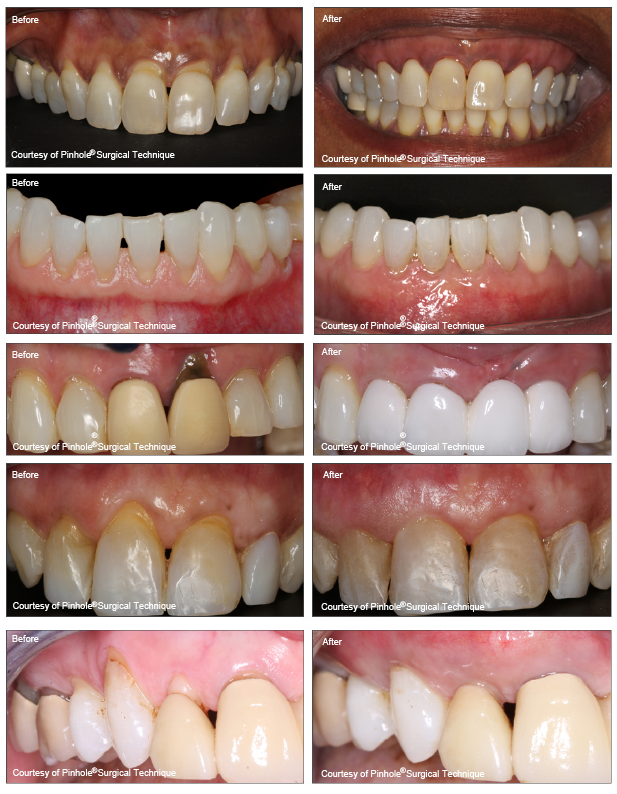 How does the Chao Pinhole ® Surgical Technique (PST) differ from traditional gum grafting? Traditional gum recession treatments involve the use of donor tissue or soft tissue grafts in order to rebuild the gumline. This soft tissue would be sutured in place and would join with existing gum tissue as it healed. While this traditional grafting treatment is effective, comparable results with better patient experience can be achieved through the Chao Pinhole ® Surgical Technique. How is Chao Pinhole ® Surgical Technique (PST) performed? During the Chao Pinhole ® Surgical Technique, a needle is used to make a small hole in the patient's existing gum tissue. Through this pinhole, special instruments are used to gently loosen the gum tissue. These tools help expand and slide the gumline to cover the exposed root structure. There are no grafts, no sutures, and no incisions needed with the Chao Pinhole ® Surgical Technique. It simply involves the adjustment of the existing tissue. What are the benefits of Chao Pinhole ® Surgical Technique (PST)?